1. disney dining plan – agree with jenn that it’s not always a great value. i’ve been to disney about 10 times, and about 8 times i added up all of my food receipts and found that i had only spent about 75% of the dining plan. this was two adults, two kids, and also two kids who occasionally would share an adult meal instead of two kids meals. as jenn said, if you’re getting it free, then it’s certainly a good idea. 2. if you don’t get the dining plan, you get something called “tables in wonderland.” it’s a discount card that costs about $90 a year, and it takes about 20% off almost all restaurant on disney property, including downtown disney and restaurants in the various resorts, such as old key west or saratoga springs. when you use this card, it basically pays for all tips. that’s how i look at it. one of the complications with “tables in wonderland” is that you can only get the card if you are either a florida resident or an annual pass holder. so clearly not everyone will be able to purchase that card. i have talked to many regular disney-goers who have never heard of this card. i believe the only place you can buy it is at the magic kingdom guest services window. not sure if you can buy it anywhere else. i prefer tables in wonderland to the dining plan because i can eat anywhere i want, order whatever i want, and not have to think about how many snacks or meals i’ve had. also, tables in wonderland discounts include ALCOHOL too. 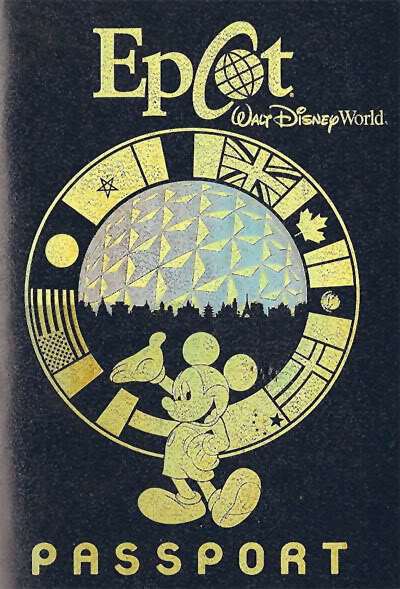 3. about the annual pass – we usually go to disney for a week. if we were to buy a 7-day park hopper pass, it would be about $400 and cheaper than an annual pass, which would be about $650. however, what we do, and i’m sure others do too, is overlap our visits so we can use the annual pass twice. last year, we visited the last week in july. this week, we will go the third week in july, thus allowing us to use last year’s annual pass again. this brings the cost down to about $325 each year and below the $400 for the 7-day ticket. but there are advantages to the annual pass. first, it allows you to then buy the tables in wonderland card and get 20% off your meals. also, an annual pass includes parking, should you be driving to the park. it gets 10% discounts on merchandise when you spend at least $50 in most gift shops. 4. you mentioned the disney visa card and the photo spots to get a free picture with mickey, minnie, goofy, or whoever happens to be there. as you said, there is a spot in epcot to get the free picture, the illuminations west pavilion. so if you’re entering the park and walking towards the fountain, it will be on your right side. there’s also a spot in the magic kingdom on main street. it’s almost immediately on your right when you enter the park, to the right side of tony’s town square restaurant. also, and i’m sure you’ve mentioned it in other podcasts, there’s the disney rewards from the visa card. i dump every expense possible on my disney card and have maxed it out several times a year. when the 1% of all my purchases is added up, i have about $450 in disney credit to spend in the park. we usually save that credit for the more expensive restaurants, like ohana and be our guest or the tusker house. it allows me to feel as if we got a free meal. that – combined with tables in wonderland – let’s me feel less guilty about what i’m spending. looking forward to backtracking previous podcasts. thanks! Another idea is to buy a 10 day ticket with the “no expiration” option, I don’t know the exact price but it could end up saving some money if you are going down more than once. You are right about the Disney rewards, I think I didn’t mention it because we are still paying that card off so I’m trying not to use it…I know, missing out on rewards points. Another thing with the rewards card is that if you pay for your cruise in full with it, you get a $50 shipboard credit.